It’s known as the sport of kings but horse racing has never been more accessible for the common punter – to bet on at least. Since ancient times the exhilarating battles between horses and their riders over a set course have captured the imagination. Racing has come a long way and thanks to recent advances in communications, is available basically 24/7 to enjoy and wager on from all corners of the globe, depending on where you are based. From the famed dirt and turf tracks of the US, to the historic courses of Europe, to the excitement of racing hotspots such as Hong Kong, Australia, Japan and Singapore, the next big event or carnival is never too far away. This is, after all, a sport which attracts annual wagering turnover measured in the tens of billions. It can be difficult for the novice punter to navigate through the mountains of form for countless meetings and seemingly endless betting options, and to factor in the many things that contribute to the outcome: breeding, barrier draw, jockey, trainer, class of race and so on. The team at World Gambling List aims to help you fly out of the barriers in your quest to turn a profit. Can you win betting on horse racing? Our racing experts have a better idea than most how to track down those elusive winners, a skill acquired through years of experience and no small number of setbacks along the way. Betting on horse racing can be daunting but also extremely lucrative if you stick to a plan and follow what we consider the golden rule of horse betting: Never chase your losses. You should have accounts with several different bookmakers so you can take advantage of the disparity in odds. It’s a hugely competitive marketplace and the bookies often offer bonus deals to attract and keep your business. There are punters out there who make a living from the sport and we will look at some of their methods. Be warned though, it is a demanding and time-consuming pursuit though there are many lessons to be learnt that can give you a better chance of at least breaking even. What types of bets are most likely to provide a return? The racing team at the World Gambling List will take you through the bet types, from the simple forms such as win and place and each-way betting, through to quinellas, exactas, trifectas, and quadrellas and so on. We will also explain how to wager on the jockeys’ challenges, triple trios, big sixes and many other bet types as well. There are many factors to consider when deciding which method of betting is best for you. For example, the jockey challenge is a good option for someone who wants a bet to follow for an entire meeting, while the gambler seeking a big (albeit generally rare) return may try a multi-leg option such as a quadrella or a big six. Professionals generally play to win by turning over massive amounts, which could give them decent returns with even a small winning percentage. They often back two or more horses in a single race. They need tremendous discipline in their wagering. The topic of what is the best racing or race in the world has caused many an argument, but here are some individual races and carnivals that should feature in that discussion (in no particular order!). Royal Ascot carnival, England: All pomp and splendour for this extravaganza, with some outstanding racing as well. Melbourne Cup carnival, Australia: Four days of elite action at Flemington in Melbourne, with the highlight the Melbourne Cup in the first Tuesday in November. Hong Kong International day, HK: A wonderful day at Sha Tin with four Group 1s attracting stars from around the world. HK has some claims to being the epicentre of racing. Japan Cup, Japan: The Land of the Rising Sun is the Land of the Rising Star as far as racehorses go. Japan’s thoroughbred stock is fast establishing a reputation as among the best in the world. Prix de l’Arc de Triomphe, France: Generally run on the first Sunday in October. A searching test over 2400 metres at Longchamp that is generally won by Europe’s best. Breeders’ Cup day, USA: A stack of Grade 1 races contested over two days at various venues are America, with a staggering $25 million-plus in prizemoney on offer. Kentucky Derby, USA: A time-honoured race held at Churchill Downs which attracts a massive crowd and is a leg of the Triple Crown for three-year-olds. A genuine bucket list event. Dubai World Cup, Dubai: Run at stunning Meydan. Incredible prizemoney, incredible surroundings. And it attracts the superstars of the sport. 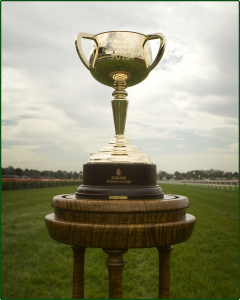 The Championships, Australia: New kid on the block, starting in 2014. Two days of super racing at Randwick in Sydney featuring eight Group1 races, including the time-honoured Doncaster Mile and lucrative Queen Elizabeth Stakes. Grand National, England: Run over more than 7km, with 30 jumps, this is simply a stunning spectacle at Aintree in Liverpool. Find the winner and it’s your shout, too. All this racing is comprehensively covered by the big bookmakers, usually with pre-post betting and often with live streaming available. It is enjoyable punting on racing at any time (or at least it should be), but it steps up a notch when the group 1 or grade 1 racing is on. And you should also consider that on this type of racing the competition becomes fiercer and the turnover surges, often meaning there is better value to be found for whatever horse you wish to bet on. Which bookmakers are the most trustworthy? At the World Gambling List, we have a list of trusted bookies who use the latest encryption technology to make sure all your financial dealings with them are safe and secure. All our recommended bookies and sportsbooks offer a wide variety of bet types and all-in betting on the biggest events on the horizon. And when you win, you can be certain the loot will find its way to your account in quick time. As the World Gambling List evolves we will review more and more bookmakers from around the world, which can help give you a leg-up when it comes to deciding your preferred operator, no matter where you are betting from. When opening a new account with a bookmaker you should also take advantage of the many generous sign-up bonuses. We will do the legwork so you know what to expect from each. Most of the racing team at the World Gambling List are journalists who have worked for years in and around the racing industry. We share a passion for punting and have made it our goal to help other gamblers out there find a way to turn a profit. This site is in its infancy, but if there is something you feel is missing feel free to contact us or even contribute an article of your own for us to consider for publication.